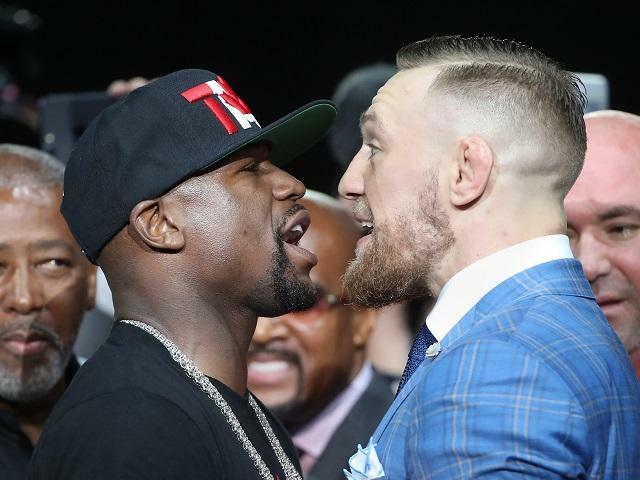 "McGregor might be tough enough to take the blows and go the distance, if you fancy taking [3.75] for Mayweather to win on a decision, but under boxing rules he will be significantly out of his depth. A bit like a water polo player racing Michael Phelps, or Mo Farah taking on Usain Bolt over 100 metres." At the risk of dropping a name, it was Carl Froch who first got me to understand why boxing is so full of trash talk. We were doing the Betfair Big Interview, and I was asking him what he thought of the appalling insults David Haye had been throwing at the time at Vladimir Klitschko. I found them downright disgusting. Froch agreed, but patiently talked me through the principle that sometimes, in a sport where making the fight can be harder than winning it, you had to go to extremes to lure the opponent into the ring in the first place. So I get the idea now. Which is just as well because how else would you make sense of the four-city world tour that Floyd Mayweather junior is currently making with Conor McGregor to promote their fight in Las Vegas on August 26. On paper it won't even be a contest in the ring. Mayweather is a five-weight world champion with a 49 fight unbeaten record, arguably the greatest pound for pound fighter of all time. He's [1.16] in the Match Odds which looks like buying money at generous rates against [5.5] McGregor, who may be a double UFC champion but has never been in a professional boxing ring in his life. So the hype had to begin, and the talk is even giving trash a good name. It's making Haye look like a sweet old country vicar. The Arena itself is long since sold out, of course. But now they are trying to shift $99 pay-per-view packages and the only way to do it is to convince the world they hate each other. So Mayweather is opening himself up to being abused and insulted in Los Angeles, Toronto, New York and London - and McGregor is gleefully obliging. Do they really hate each other so much? Who knows? Or even cares, actually. The face-off so far is on a grand scale, and if you can ignore the foul language it is actually quite fun. I've deleted the expletives but McGregor has lambasted Mayweather's clothing ("you're 40 and you can't dress"), his literacy ("you can't even read") and his boxing style ("you're just a runner"). He's promised a 20 second knockout, warned he'd kill Floyd under UFC rules, and promised to put his share of the purse up as a bet (that one won't happen, you can be sure). Mayweather, usually so good at pre-fight hype, has been a poor second with his best line until now being that he is indeed a runner - "all the way to the bank". In New York last night he tried living up to his "Money" nickname by throwing cash all over McGregor, only to be mocked that they were single dollar bills. "That's all you're worth," he told the UFC man. The reality, of course, is that once they are in the ring that probably will be all he's worth. McGregor might be tough enough to take the blows and go the distance, if you fancy taking [3.1] for Mayweather to win on a decision, but under boxing rules he will be significantly out of his depth. A bit like a water polo player racing Michael Phelps, or Mo Farah taking on Usain Bolt over 100 metres. But reality is for Las Vegas on August 26. Right now is just for sitting back and enjoying all the nonsense.